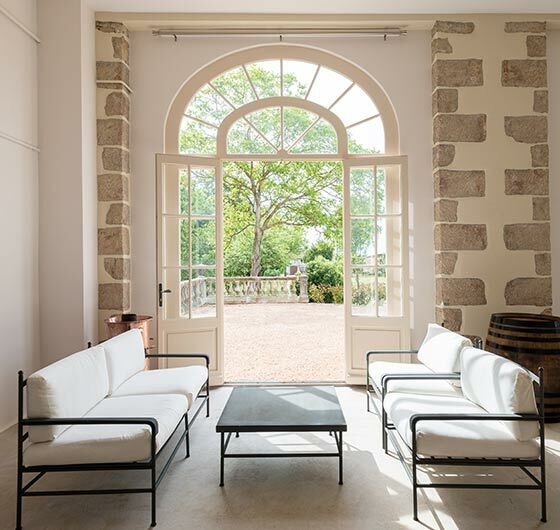 Experience the ultimate wine weekend staying in the chateau. Visit as part of a group. Join us for a tasting. Join our email list & follow us on twitter. With a Barrel Experience Weekend you stay as our private guests at the chateau, and learn all about the estate and the winemaking process. Your weekend includes the purchase of a barrel of wine which you bottle using our hand-bottling machine, cork and pack yourself in the cellars under the house. We host group visits for up to 100 people in the beautiful orangery. 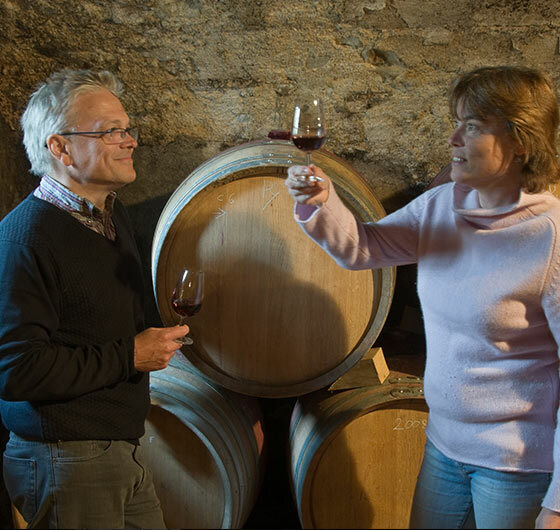 It is a pleasure to meet new people and see old friends again, so do break your journey and join us for a tasting in the cellars under the house. 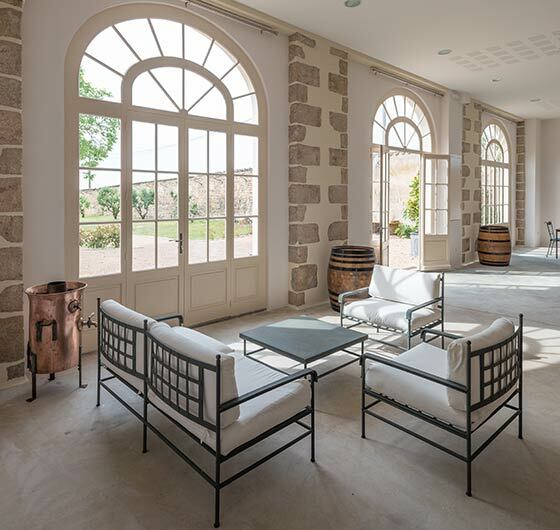 An elegant well-equipped room for tastings and events, the chateau’s old orangery has been completely restored and is now a beautiful tasting and reception room. There are approximately 115 square metres of reception space, a 200 m² terrace overlooking the park, together with a service kitchen and two WCs. 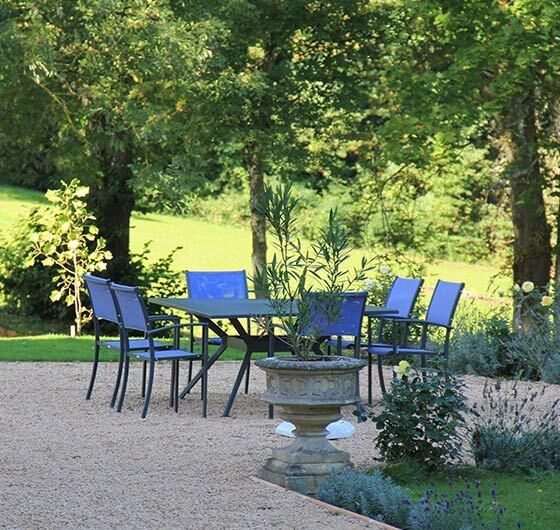 We host tastings and lunches for groups of visitors to the domaine and cater for a range of oenotourism events. Wine buying, organising a visit & anything else. 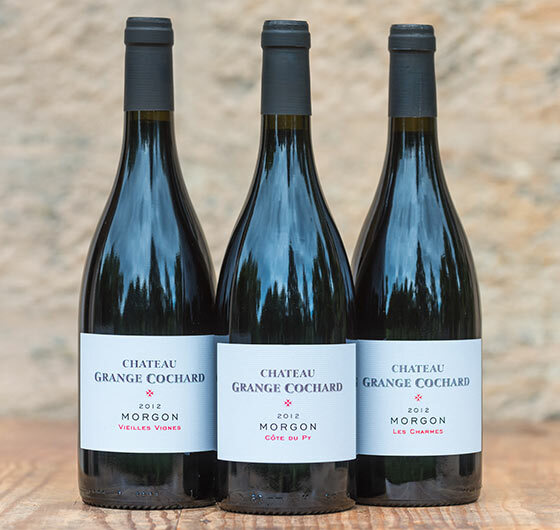 Three distinct cuvées with different styles. A historic house with some of the finest vines in the region.